Welcome to the Institute of Mental Health (IMH) in Colombo-04, Sri Lanka website. Our aim is to provide and promote positive mental health and wellness services and education and training opportunities for all. We have been operating successfully since our inception in Colombo 03 in August 2007 as a private educational and research institute and we conduct regular short-duration small group and individual courses and training programs in general psychology, counselling and psychotherapy, life coaching, relationship coaching, child psychology, positive parenting, educational psychology, abnormal psychology, and the psychology of addiction and substance abuse. We also conduct regular public seminars and workshops on relevant and important topics related to Psychology, Counselling and Mental Health in Colombo and Kandy. We also provide confidential and personalized psychological counselling and psychotherapy sessions and consultations on request for individuals (teens, adults, couples, elderly citizens) and groups. Clinical hypnotherapy consultations and sessions are also made available for students, clients, organizations and the general public for effective relaxation and stress management, phobia cure, overcoming anxiety and mild depression and for achieving accelerated behavioural changes and personal growth. International Conference on Applied Psychology, Psychiatry and Mental Health - 2018 Congress is scheduled to be held on November 26-27, 2018 in Los Angeles, California, USA. The 2018 Conference Theme is: Improving Physical and Mental Well-being through Psychological & Psychiatric applications in Diverse and Challenging Settings. Please take some time to explore this site and drop us a line if you require any more information or clarification about our professional and confidential counseling and psychotherapy services, clinical hypnotherapy services, our psychology and mental health related courses/classes, or if you have any other suggestions or comments. We wish you continued health and happiness and we look forward to hear from you soon! H.E. Amb. Maj. Gen. Lord Dr. Kumar Divakar Chandra Sarkar, MD, DPS(Public Service), DIA (International Affairs & Human Rights), PhD (Arbitration), LHD (Human Laws), DM (Business Management & HRD), DHS. - Secretary General & Ambassador at Large Extraordinary, International Board of Directors & Trustees, ICDRHRP UN-IGO (California, USA). Mr. Nisal Perera, Consultant to the Police Department on Drug and Alcohol Addiction, Consultant to the Ministry of Rehabilitation in Sri Lanka, Coordinator for the Presidential Drug Task Force, Sri Lanka. Consultant - Durdans Hospital - Negombo, and Ave Maria Hospital in Negombo, Sri Lanka. 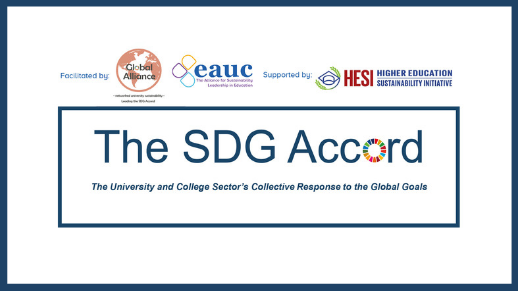 The IMH is an official Institutional signatory of the The SDG Accord global initiative established to inspire, celebrate and advance the critical role that education has in delivering the Sustainable Development Goals (SDGs) and the value it brings to governments, business and wider society. Employee assistance programme which provides a dedicated hotline service. Workshops designed to teach skills and coping techniques related to resilience. Customised workshop for organisations to better manage workplace crises. The Institute of Mental Health is an Affiliate Organization Member of the World Federation for Mental Health - WFMH, USA. The IMH is Accredited with a 5 Star Grading by The International Commission for Diplomatic Relations, Human Rights and Peace (ICDRHRP), Inter-Governmental Organization (IGO), California, USA. The Institute of Mental Health is an Affiliated Institution of Medicina Alternativa (MA) and The Open International University for Complementary Medicines (Mount Lavinia, Sri Lanka) Charter of Medicina Alternativa, Alma Ata, 1962. The Institute of Mental Health is Affiliated with the International Vocational Education and Training Association (IVETA), USA, via its Founder and Director Dr. Sir Romesh Jayasinghe who is an Individual Member of the IVETA, USA. The IMH is Affiliated with The Canadian Health Sciences Institute (TCHSI), IGO, Canada. The IMH is a Member of the International Initiative for Mental Health Leadership (IIMHL), New Zealand. The Institute of Mental Health (IMH) is a private Educational & Research Institute founded by Certified Master Life Coach, Psychotherapist and Certified Clinical Hypnotherapist Dr. Romesh Jayasinghe Ph.D.(Hon., USA) Dh.C. (USA) FRSPH(UK) FTBCCT(UK) MBCS(UK) M.Inst.Psy on the 21st of August 2007 in Colombo-03. The IMH is an Affiliate Organization Member of the World Federation for Mental Health (WFMH, USA) and an Affiliated Institution of the Open International University for Complementary Medicines (OIUCMED) in Sri Lanka. 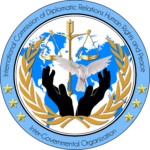 The IMH and all its courses are fully Recognized and Accredited with a 5 Star Grading by the International Commission of Diplomatic Relation Human Rights and Peace (ICDRHRP), an Intergovernmental Organization (IGO) registered with UNDESA and other International organizations. Our aim is to provide and promote positive mental health and wellness services and psychology education and training opportunities for all in Sri Lanka. We have been operating successfully since our inception in Colombo 03 in 2007 as a private educational institute and we conduct regular short-duration small group and individual courses and training programs in counselling and psychotherapy, child psychology, general and applied psychology and mental health leading to the final award of the IMH Diploma in Psychology & Counselling. We also provide confidential and personalized psychological counseling and psychotherapy sessions and consultations on request for individuals (teens, adults, couples, elderly citizens) and groups. Hypnotherapy self-hypnosis Audio CD’s are also made available for sale to our students, clients, organizations and the general public for effective relaxation and stress management and for achieving accelerated cognitive-behavioural change and personal growth. At present, all our counselling and educational & training services and courses are conducted only in the English language medium of communication and instruction.